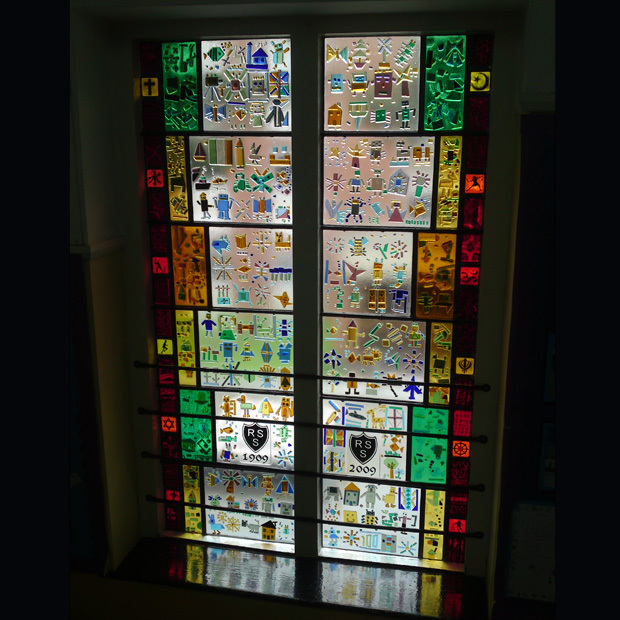 We were asked to create a stained glass window for Ruckleigh School an independent preparatory school in Solihull. The window was to celebrate the school centenary. 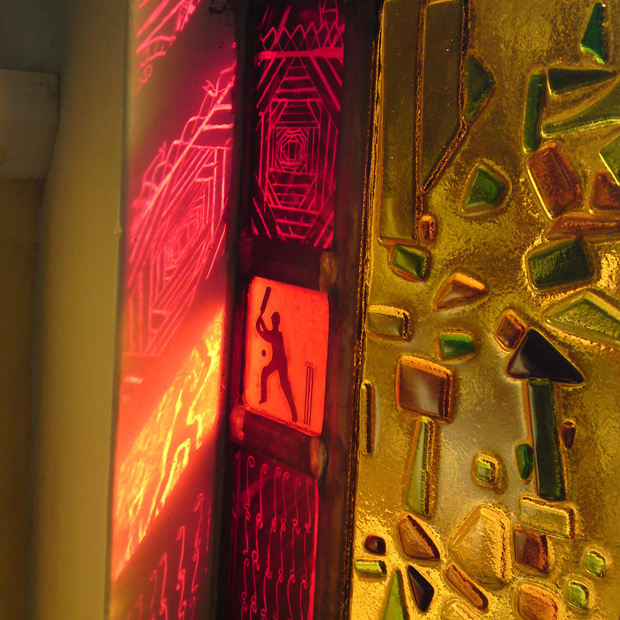 We created the window through workshops carried out at the school where the children created their own designs. These were then cut out for them so that they could stick them to the back piece of glass ready for fusing. They also created a scrafito style border. The school is of mixed faith represented in the squares of the border, which also shows their keen interest in sports.